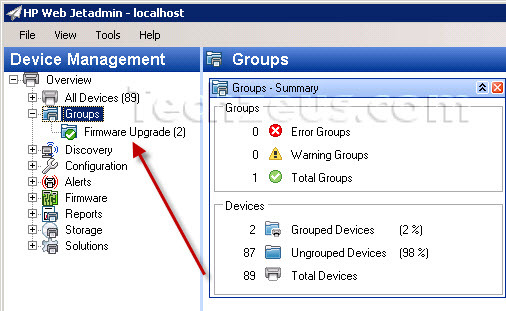 How to create an Auto Group in Web Jetadmin? 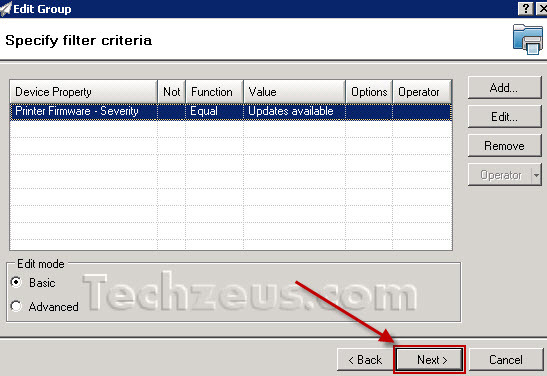 An auto group can be created in Web Jetadmin using few simple steps. 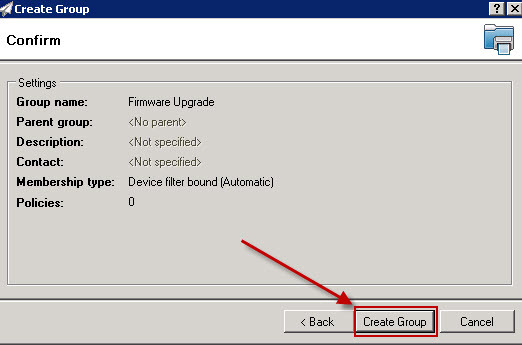 In this example we will create an auto group that will automatically filter printers which require firmware upgrade. 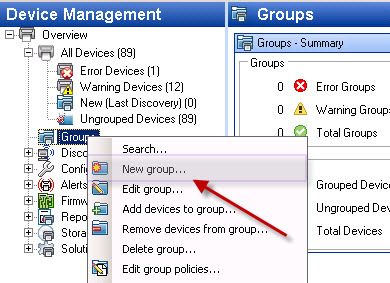 Now you should be able to see the newly created group under groups in Web jetadmin application client. 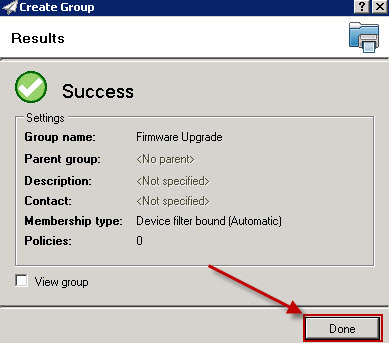 Note: Based on how busy the WJA server is it may take few minutes to few hours before the group is automatically populated with all printers requiring firmware upgrade. 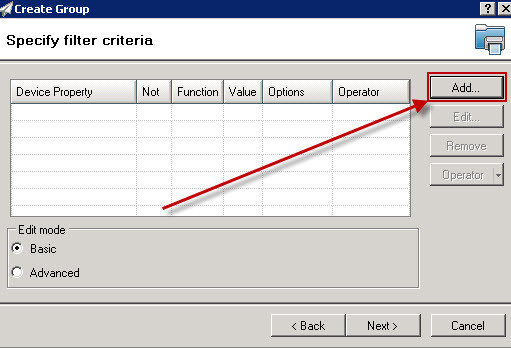 If you have only few hundred printers on the server it should not take more than couple of minutes.